Welcome to the Chicago Trends Scoreboard, brought to you by Logical Media Group (and Google Trends, of course)! Based out of the historic River North neighborhood, we hold firm to the belief that we live and work in the greatest city on earth. Therefore, each week we’ll dig into the data provided by Google Trends (a free tool!) 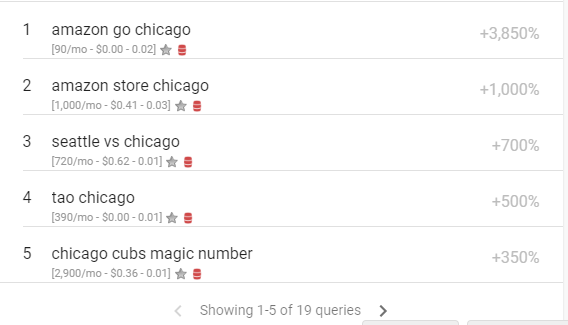 and social media outlets that outline the topics most frequently searched by Chicagoans that week. We’ll also provide any relevant links to content surrounding those topics around the internet that might be of interest to our neighbors around town. We’d love to hear from you about our scoreboard, please contact kevin.hughes@logicalmediagroup.com with any questions or comments. In the national spotlight, on a Monday night, with the legendary Brian Urlacher set to receive his Hall of Fame tribute at halftime the Chicago Bears delivered as a home favorite with a win over the Seattle Seahawks. To the untrained eye this may not sound so important, but recent history hasn’t been kind to the home team when favored on national television. Despite an up and down performance from quarterback Mitch Trubisky, the defense built upon its momentum from week one and dialed up one devastating blitz package after another to secure the win. Rich Campbell from the Chicago Tribune lays out his top 5 takeaways from the win here. 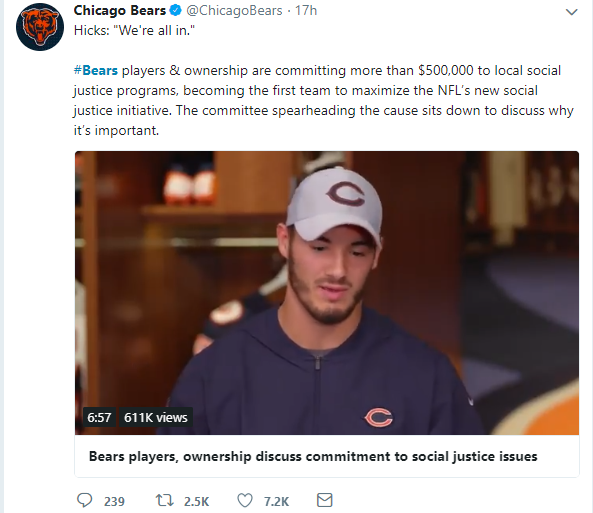 The wins didn’t stop on the field for the franchise, on Monday afternoon the Chicago Bears official twitter account posted a video outlining a partnership between players and ownership to commit more than $500,000 to social justice programs in Chicago. Earlier in the year the NFL announced an initiative for each club to match player contributions up to $250,000 for social justice causes, the Bears now become the first team in the NFL to participate. “It’s not only important that our money goes to these organizations,” Trubisky said to Chicagobears.com, “but that we get out there ourselves and put in the man hours to go meet these kids, and development relationships between them, the police force and their community. If you give [kids] positive experiences, then later down the road they’ll have a better life, and that’s what this is all about.” The Bears are making the city proud off and on the field this week. Stop me if you’ve heard this before, but there’s a new great reason (excuse?) to drink lots of beer in Chicago. Although this particular reason extends well past the borders of the windy city. Oktoberfest arrives in conjunction with the leaf turning majesty of Fall each year, and Chicago’s own WGN has provided a nifty interactive map of where you can celebrate in different parts of the city this year. One of Chicago’s most popular parties-Oktoberfest Chicago at St. Alphonsus-is back for the 17th consecutive year. With humble origins (a single parking lot in West Lakeview) to Southport and neighboring streets for a long weekend of beer, brats and all things Bavarian. Some of the most popular local bands will be on hand, including 16 Candles, Polkaholics, and American English. Kinderfest is available for family-friendly fun on Saturday & Sunday until 5pm. The Oktoberfest Alphonso website provides official information here. 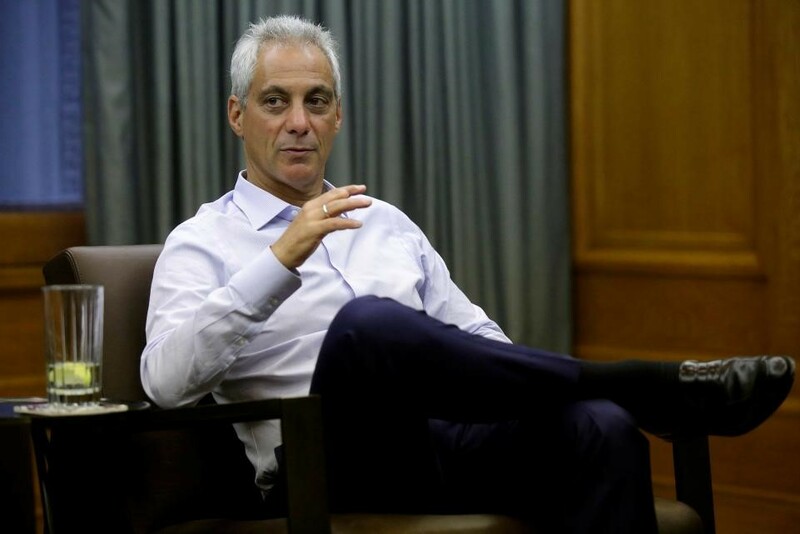 Out With The Rahm, In With The…? Now that the tenured Emanuel is out of play, it’s a crowded playing field that remains in the mix for the next election. City leaders from neighborhoods across the city are kicking the tires, opening exploratory committees and generally giving vague answers to the press about their plans, as politicians are known to do. State Representative LaShawn Ford, D-Chicago, city Treasurer Kurt Summers, and a list of other civil servants are outlined here from WTTW, local public media. 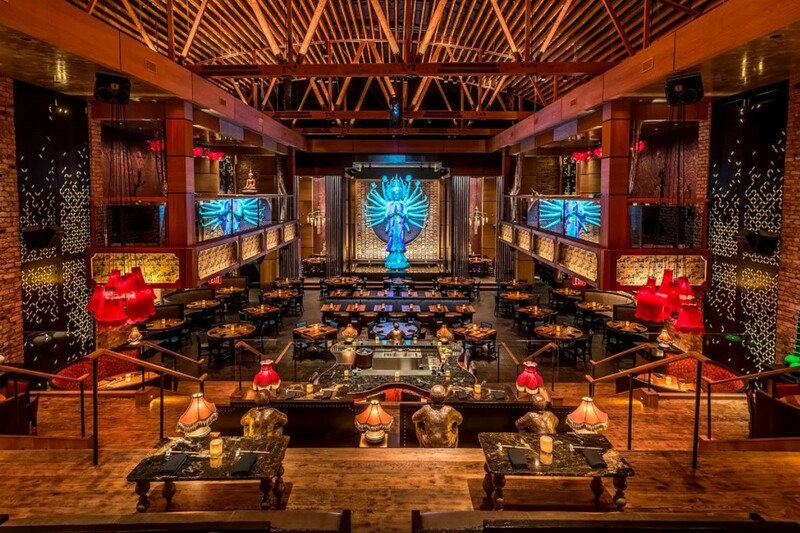 Perhaps no brand of Asian-themed “restaurclub” has more brand awareness in the United States than Tao, which has chosen River North in Chicago for its first ever Midwestern location. “A sprawling multi-floor 34,000-square-foot behemoth in the former home of the nightlife Castle and the Chicago Historical Society on Dearborn Street that was built in 1892, will open to the public on Monday,” a news release from Chicago Eater announces. Toa is known in foodie circles certainly, but you may have heard about it from tabloids or within second hand gossip about celebrities, who frequent the establishment in both Los Angeles and Las Vegas. The Kardashians, Oprah, NBA players and many more have been known to stop in for both food and libation from time to time. With opening day of the Chicago location just around the corner, there’s no telling who might show up. According to Chicago Eater, Toa Las Vegas is routinely the most profitable independent restaurant in America, with an average check of $90. Folks interested in getting a table on opening night however, may need to be willing to part with some money for the host or hostess. The second longest of its kind, Reeling is a Chicago based LGBTQ+ International Film Festival that prides itself on showcasing film and video that feature LGBTQ+ artists and subject matter. Film enthusiasts come from all over the country to partake in the festival, which started airing films in 1981 in a 90-seat room on West Hubbard. With a focus on diversity in both genre and style, the Reeling Festival is a known commodity in the arts community within Chicago. Landmark’s Century Centre Cinema plays host to the films, and the festival has partnered with AARP in 2018 to award film makers over 50 who are defying stereotypes and creating art later in life. You can see a full breakdown of the film schedule and other into at the official Reeling website here. That’s all for this week’s Chicago Trends Scoreboard, we’d love to hear your thoughts or suggestions! Feel free to email kevin.hughes@logicalmediagroup.com.